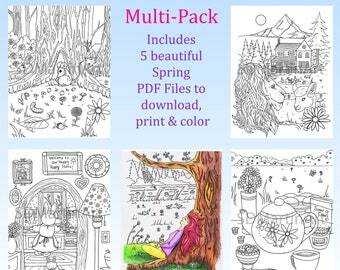 Announcement All individual coloring pages are currently available for just 99 cents & Multi-packs for only $2.49! 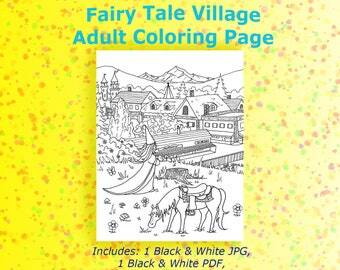 Once you've completed your purchase, you'll receive a link to instantly download, print & color your coloring pages. 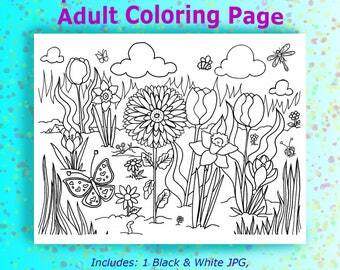 You will also receive an email with the link to download your coloring sheet. Getting to see how you breathe life into these illustrations is really exciting to me! I'd love to see your coloring masterpieces on Instagram! If you'd like to share yours with me, include hashtag #sdmartinart when you share your post. You can also follow me on Instagram @sdmartinart. 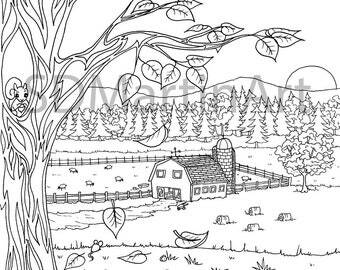 All individual coloring pages are currently available for just 99 cents & Multi-packs for only $2.49! Looks great and shipped on time. I received the painting today. It looks amazing! The packaging was excellent. The matching bookmark you included was super nice... and the handwritten card. Everything really shows how much care goes into this. It's funny, but I feel lucky to have been a customer. Thank you so much! New coloring page available in the shop! Available in black & white and grayscale printables. Happy first weekend of Spring (Autumn for my friends in the Southern hemisphere). 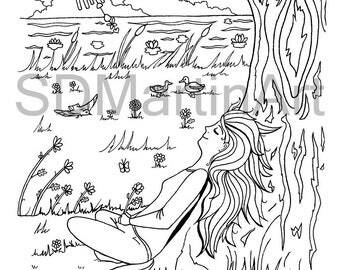 Download and Print Cheerful Hand-Drawn Coloring Pages for Adults and Kids! I love the collaborative art possibilities that coloring pages provide. I may create the illustration, but you can color it in your own way, using your preferred tools, giving the illustration a unique character and quality. I'm an illustrator living in the PNW. I love creating whimsical coloring pages, vibrantly colored illustrations and stylized black and white drawings.